A city MP is set to force a House of Commons showdown over claims that long-awaited local television station City TV is "short-changing" Birmingham. 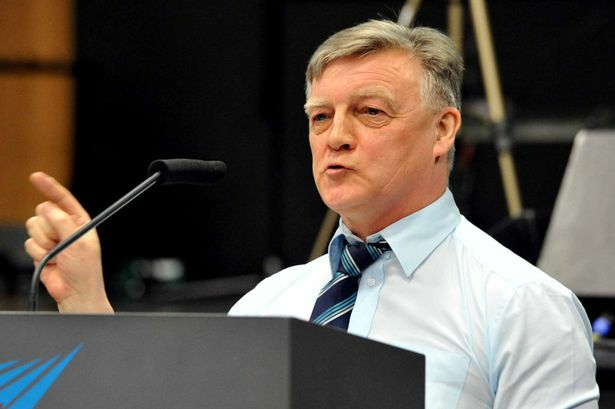 Steve McCabe has tabled a string of parliamentary questions to the Department for Culture, Media and Sport over the delayed launch of City TV, as the November 2014 deadline looms. Mr McCabe (Lab, Selly Oak) said Birmingham had been short-changed by the failure of the station - scheduled to broadcast as City 8 on Channel Eight Freeview - while there had been "radio silence" on why there had been so little progress since the licence was awarded to the parent firm BLTV Ltd in November 2012. The move comes as speculation mounts over the future of chief executive Debra Davis, formerly a £120,000-a-year spin doctor with Birmingham City Council. Mr McCabe said: "This is not good enough. Birmingham is being short-changed. Clearly, they have missed their deadline and all there seems to be is radio silence after all this fanfare. "I will be putting down parliamentary questions to see if City TV is still alive and if and when it is going to deliver a TV station. "I will be asking about the process involved and who is responsible for it and how do we check this has not been a complete fiasco. "It seems bizarre when you have all this fanfare of publicity and people saying how thrilled they are. "Clearly, something has gone wrong. Given there is public money involved, I am surprised the Government has not taken more interest." Mr McCabe&apos;s questions to Culture Secretary Sajid Javid are: "When did the Secretary of State last discuss the progress of BLTV who have been awarded the local television franchise for the Birmingham area? "If the BBC is contributing £40 million of public money towards the costs of local TV, who is responsible for that money and how much has been received by BLTV in Birmingham? "How long is a local TV franchise valid for and does the minister have reason to believe BLTV will launch in Birmingham within the period of the existing franchise?" The questions come after it emerged a new company called City Eight, set up two months ago, had failed to get off the ground. City Eight was registered with Companies House on May 8, with shareholders including City TV stalwarts Debra Davis, Alan Grindley and broadcaster Ashley Blake, alongside executive Stuart Reed from rival licence bidder YOURTV. However, talks over a possible merger to bring a local TV station finally to Birmingham have failed, sources told the Post. Ms Davis&apos; consortium was awarded the licence in November 2012 and had two years to get the station off the ground. But there is still no sign of any studio or staff appointments with the deadline less than four months away. It is understood former ATV presenter Mike Prince, named earlier this year as the Birmingham station&apos;s programme controller, has been seeking to drum up support for the station. An insider said: "Mike is doing what he can to pull it all together and get some finance. At present, they have not got any equity or property. The City Eight talks fell through because people were not prepared to put any money in. "Debra Davis has put years of her life into this - an enormous amount of effort." Another source said: "It just goes round and round in circles. The timescale has gone now - it is just too short." Another senior Midland broadcasting figure, Phil Riley, chief executive of Orion, which runs Free Radio in Birmingham, said: "It is fair to say that I have been a sceptic of local TV as a concept and it does not come as a surprise that some of the local licences are finding it difficult to get the funding needed to get off the ground. "Anybody that wins a licence may find it challenging to get all the funding in place." Ms Davis said last year the station would launch in April this year and subsequently amended the date to September 2014. In February, she told the Post: "This is a 12-year licence. It will be on Channel Eight Freeview, it will cover 1.2 million households in Birmingham, including Wolverhampton, Walsall and Dudley. "We will be launching, likely in September. We need business support and sponsorship. We need the business community to help with our marketing and sales through good gossip." She told the Post, in a subsequent statement in May: "Ofcom awarded BLTV Ltd the local television licence for Birmingham and we are making excellent progress for an autumn launch. "There is a great deal of work going on in the background around logistics and programming. Viewers in Birmingham, Solihull and the Black Country will be able to tune-in soon. It is very exciting." But the City TV plans have long been mired in controversy, including calls by rivals for an investigation into the awarding of the licence to BLTV, a firm incorporated just 24 hours before the Ofcom deadline of August 13, 2012. Last year, interim chairman Derek Inman and managing director Danny Brainin both quit City TV. As part of the local TV framework across the UK, the BBC is contributing up to £40 million, including capital investment on transmission infrastructure and the purchasing of programmes. An Ofcom spokesman said: "BLTV has until November 6, 2014, to start broadcasting. All stations are given two years from being awarded the licence." A number of local TV stations have launched so far, including London Live and operations in Norwich, Nottingham and Grimsby. Reports have suggested that London Live&apos;s audience figures were &apos;in the low thousands&apos; for some of its programmes. Ms Davis declined to comment further. Mr Prince said: "I have no comment to make." Mr Reed declined to comment on the failure of talks over City Eight.